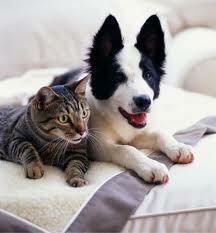 Introducing dog to cats, so they will live happily together in a home is a dream for many owners. There are many factors that influence whether this is achievable or not. It’s important to know the behaviors and personality of the current pet (dog or cat) and gauge the personality of the new pet you want to introduce into your home. Appropriate pairing of pets is essential for success. You do not want a cat that is a defensive antagonist, to live with a high prey drive dog – that is a recipe for disaster. Whereas, an older sedentary dog, would do well with a cat that is independent and has little interest in engaging with a dog. There is no one fool proof way of introducing dogs to cats. The focus is to set both the dog and cat up for success. We do this through slow and gradual introductions, while having safety precautions in place (utilization of crate, gate, leash, etc.). All introductions must be stress-free and quick for both dog and cat. The goal is NOT to have your dog and cat play together. The focus is for them to just harmoniously co-exist in your home together. If it progresses to play over time, that is a bonus. Your dog must be on-leash, so he can see and be near the cat, without direct physical contact. Relieve your dog’s pent up physical energy prior to introductions. Go for a short walk or have a quick play session outside with your dog. A calm dog will be in a better frame of mind for the introductions. Provide elevated surfaces for your cat to flee and observe from if they begin to feel uncomfortable. 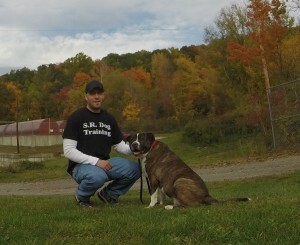 Develop reliable obedience commands with your dog, prior to any introductions. Having a dog who will “Come” when you call, stay in a “Down”, and “Leave It” when you ask, will be much easier and safer to have around other animals. Here are Tips for Beginner Obedience Commands to help you get started. Correct, if your dog begins barking, chasing, or getting overexcited. Don’t add unnecessary excitement, through excessive praise, petting, or talking in a high pitch voice. This should be a calm and relaxed process. Your dog and cat should be separated when you are not there to actively supervise. Dog and cat introductions should be gradual and progressive over an extended time frame. Don’t forget, there is no guarantee that every dog and cat pairing will end up working out. In order to set you and your pets up for the best success, safety needs to be your highest priority, with short structured daily introductions.